Retiring in Mexico is becoming increasingly popular among North American retirees. Over a million Americans have chosen this beautiful country as their work or retirement destination, and this number is growing rapidly. Mexico offers beautiful colonial cities, tropical beaches and the warmth and joy the Mexicans are known for. Last year Mexico was recognized as the happiest country in the world. There is a long list of reasons that make Mexico one of the best places to retire, and it is not just us saying it. 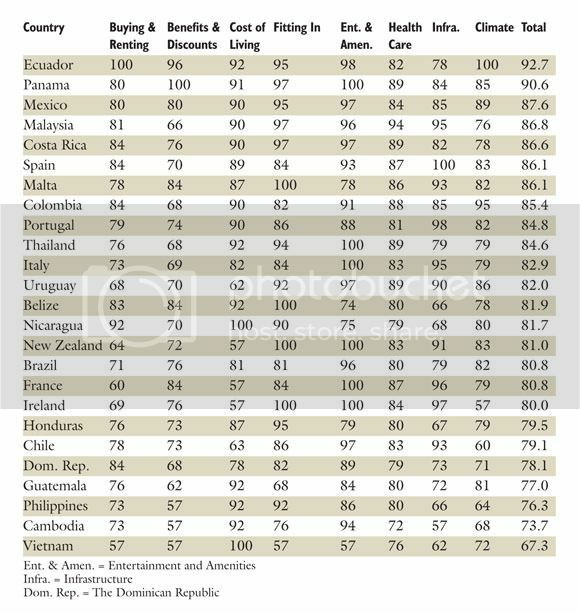 In 2015, Mexico was ranked in the third position by International Living; a company that offers all sort of information and services to people looking to retire overseas. Living in Mexico can dramatically improve your quality of life, the slower pace will let you unwind and live a much more relaxed lifestyle. On the other side, the cost of living in Mexico is much cheaper, you can afford more on a smaller budget and even have a maid, a gardener or a handyman to do all the housework for you. Mexico also allows you to keep the services and goods you are accustomed to, as there are plenty of American chains and supermarkets offering most of the same products that you consume at home. There is also the option to have services such as telephone, cable, internet, etc. Here’s some examples of prices differences between Texas, the Riviera Maya and Yucatan. Living in Mexico can be a great way to make your pension stretch much further, letting you experience a better quality of life than back home. Also keep in mind that the prices for medical care and insurance are also lower; which will allow you have all the necessary checkups and consultations as well as procedures for a fraction of the cost. Top Mexico Real Estate has over a decade of experience helping foreigners find their dream house in Mexico. Visit our website and browse our beautiful properties: from a colonial home, to a cabin at the jungle or a beachfront condo; we have the right place for you. We are an American-owned company based in Playa del Carmen, and most of our team knows firsthand about living and working in Mexico. Please let us know if you want to know more about living and retiring in Mexico.